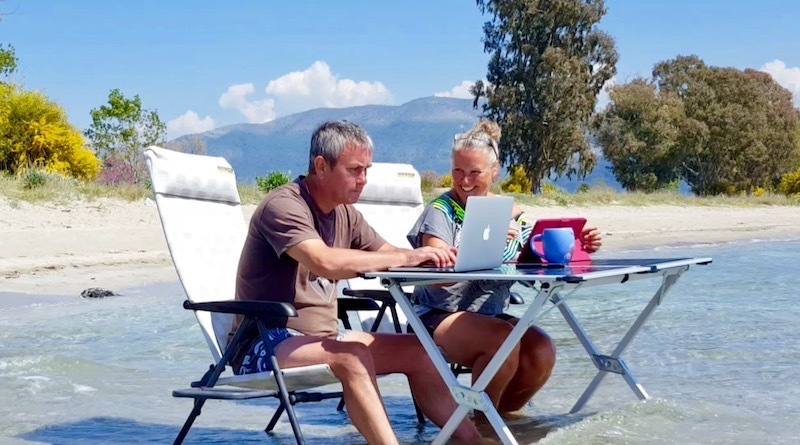 So imagine this… It’s winter and the archetypal seasonal blues are hibernating right now as we sit watching the crystal blue waters rolling into the coast reflected against the brilliant blue skies. The boats, on the other side of us, clink with a mariner’s melody all of their very own and the sun shines brightly through the enormous glass windows of our restaurant as we set about celebrating an early family Christmas. And not a hat, scarf or jumper in sight as this is south eastern Spain….Dénia to be precise. 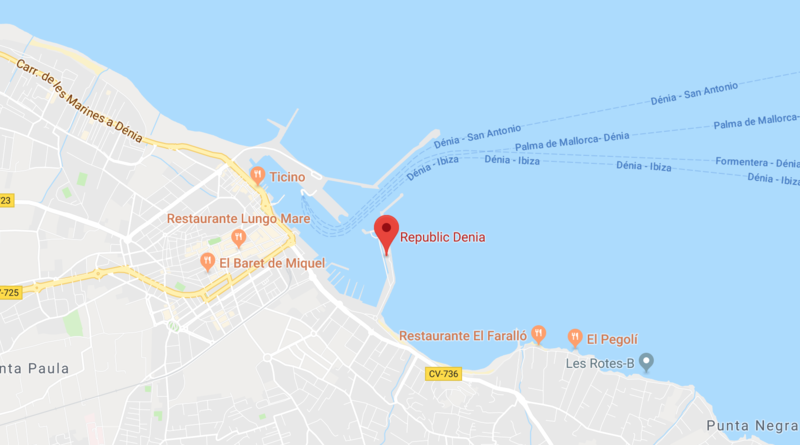 We chose our desired eatery for our special family meal with care; the ambiance and good quality food needed to be in partnership and Dénia’s Republic restaurant had the perfect solution for us. 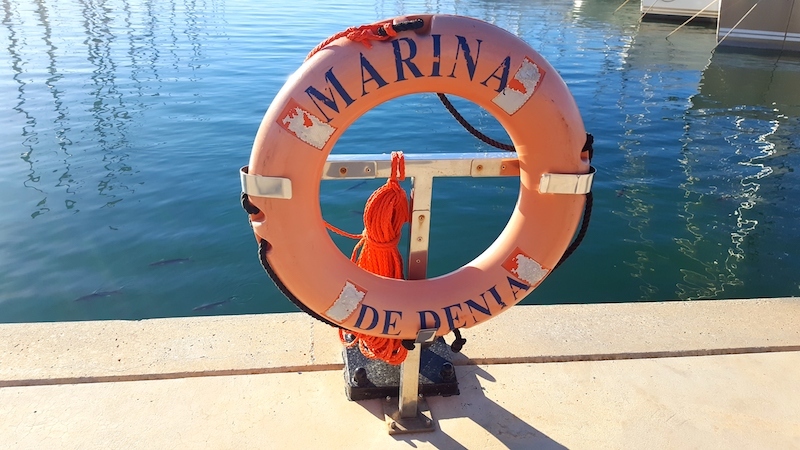 The elegance of Denia’s marina on the one side, the shadow of the magnificent Montgó mountain on the other and to top it all off, the regal castle, casting its eye over the town, creates a stunning setting for our meal. 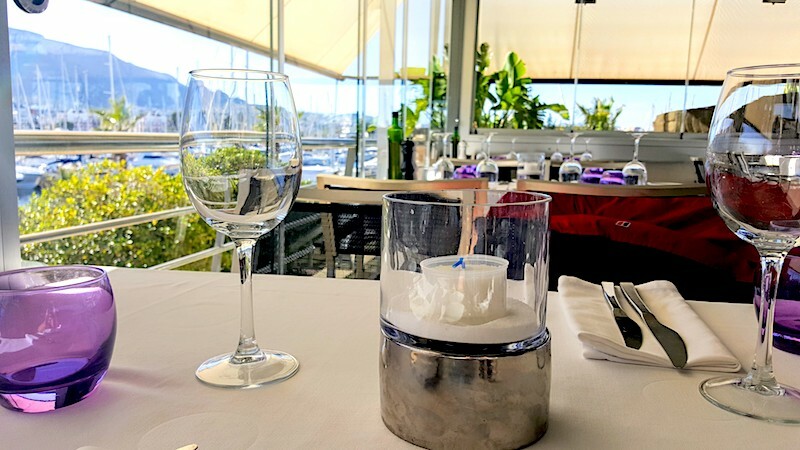 Our eyes are drawn to the simplicity of the restaurant – a warm environment that has crisp white tablecloths and purple glasses to create an elegant affair without feeling stuffy. The sun pouring through the windows, that in the summer I imagine are open to the elements, allowing the smell of the sea to penetrate the senses as the sun warms even the coldest heart. Although even in the middle of winter, this restaurant has a cosy charm that creates an expectation of an experience not just a meal. Welcomed by a team of beautiful waiters and waitresses we take our position at the glass fronted windows with the best view in the house – in truth though, every table has the luxury of that vista, so there’s no elitism happening here. And before we know it our tastebuds are being tantalised by a Menu del Dia, for a mere €21.50. That in itself may not sound too spectacular, although when I tell you that it includes six courses and a complementary digestif to finish off your culinary delights then it may well impress. The Republic is one of the those special establishments that gives a unique combination of warm and friendly staff, great food, super views and an rare attention to detail applied lovingly to each plate. So if you love great quality food with a tinge of fine-dining to it, without the pretence (or price tag), then you must visit. Don’t expect huge plates of homely stews – you can get that in the bistro next door. 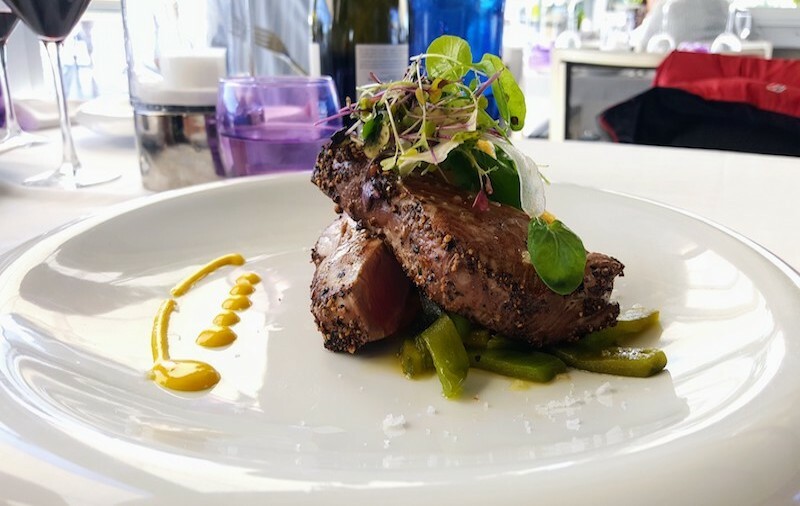 What you will get are carefully composed dishes where flavours are fused together in an orchestral harmony that just make your tastebuds want to sing with joy. 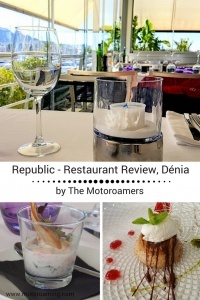 Now don’t get me wrong, we’re not by any means demanding clientele, we simply enjoy food that has been lovingly prepared and not messed with and the Republic gave us just that – food composed with a blend of art and taste as their primary drivers. 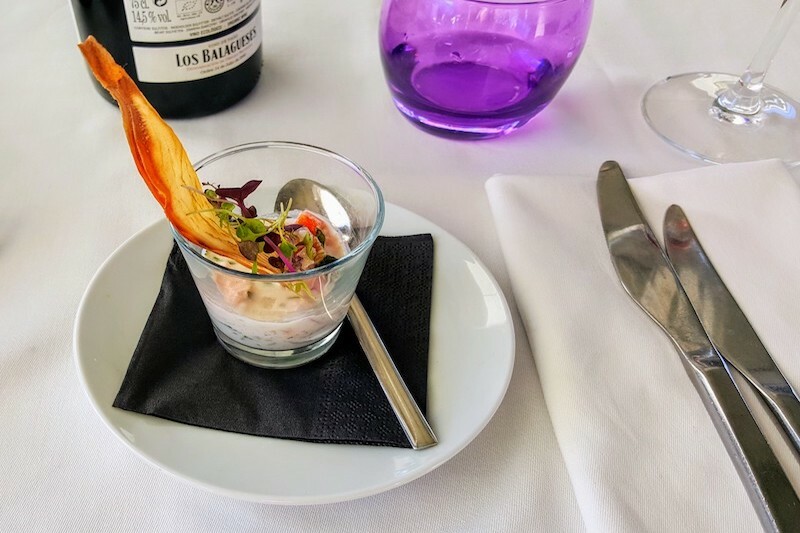 To whet our appetites we are treated to an appetiser, consisting of a shot glass filled with salmon, a mirepoix of vegetables and a light lemony sauce. What a great entrée. What on earth would delight us next? The stage was set and course two would soon have the audience gasping with an ‘ooh’ and ‘ahh’ with effortlessness. A carpaccio of swordfish with fennel strips and a brilliant yellow curry dressing and orange segments dressed with peashoots and a single strand of chives. The thought and delicate balance of flavours and textures was exquisite and I would not class myself as a connoisseur, yet to appreciate the art was very easy. The main course was still some way off, as we had yet another dish to satiate our intrigued palates, in the shape of a vegetable velouté which seriously lived up to its French ‘Mother Sauce’ label. This was no ordinary soup, it has to be said. 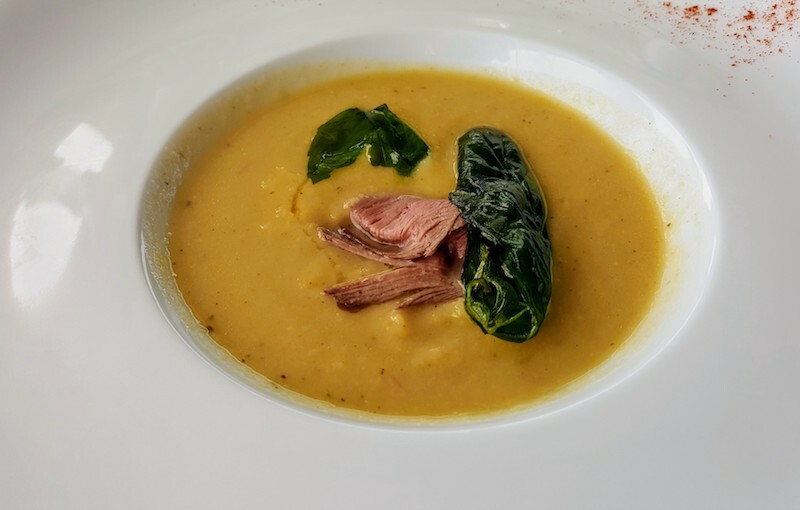 This was dressed with smoked duck slices that had been delicately cooked, partnered with a couple of leaves of spinach. The design was sublime, the taste delightful – the lightness of touch that only an artist could perform. No effort was required to demolish this bowl of divine sauce. At last you think the main course is arriving – the piece de resistance – or whatever the equivalent is in Spanish. Yet no! 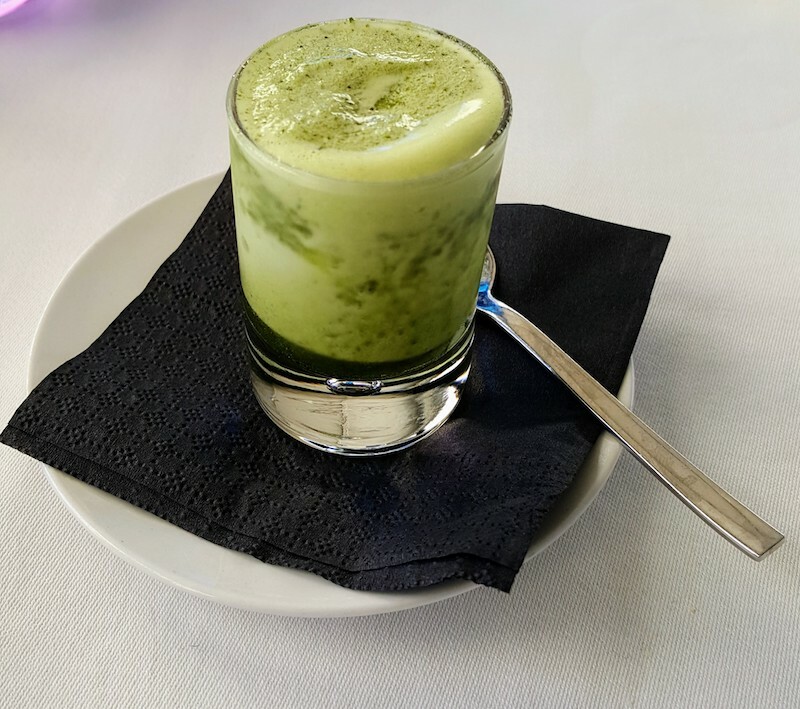 Before that a delightful palate cleanser – a Mise-en-bouche de menthe. A shot glass of lightly iced sorbet that is so much more. Just perfect to get our mouths ready for the guest appearance – the star of the show. As if what we had eaten so far wasn’t red carpet treatment enough. Now we were ready! Here it comes! The star of the show. Now for those of you who really love a good plate of food, you will not be disappointed. Although this is no Christmas Day stuffed! 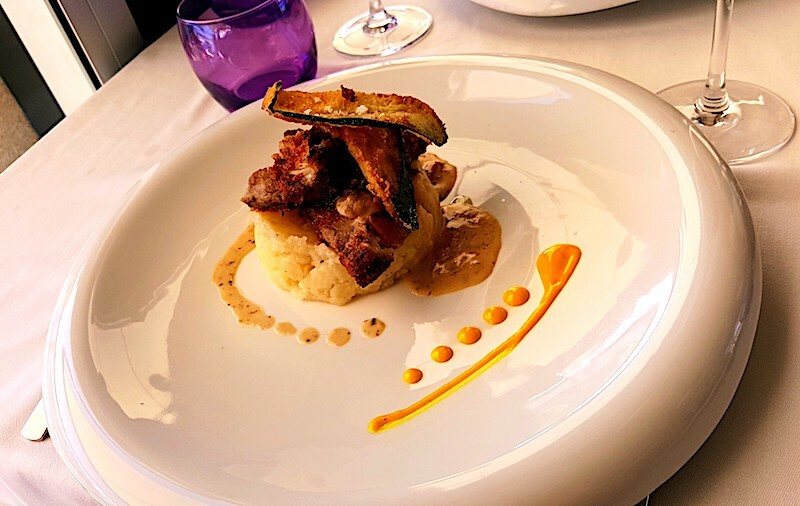 And the main course options for us; a crispy-coated pork steak on a bed of crushed potatoes and courgette crisps, decorated with the signature vibrant sauce making you serious not want to touch it, it was so pretty. Or two tuna steaks on lightly steamed peppers and a triangle of polenta. Stunningly delicious. With bellies dancing in delight at the main feature, what more could tantalise our eyes and our bellies? I’m not a great dessert person in truth. The idea of dessert always seems more appealing that the reality. Although this work of art certainly made me rethink my attitudes towards puddings! 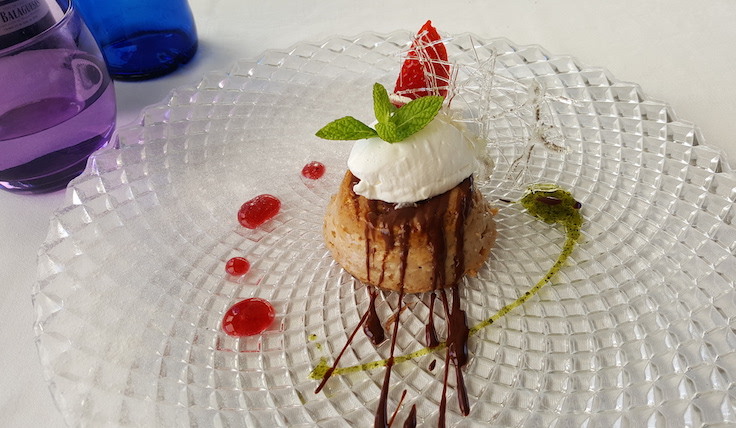 Our final course was a light sponge cake that had been soaked in a liquor and dressed with praline, sugar work and strawberries. And of course, however I feel about puds, I of course did it justice by demolishing it without discussion or question and it was very pleasant. Not my favourite dish, although still very, very nice and definitely pretty. Well what a meal, with flavours that tickled our tongue, a vision that was a feast for our eyes and in place that gave us just a touch of class and simplicity all at the same time. And then to be offered a glass of complementary Muscadet over ice was just the icing on the cake. And not a bill to shock the system. The only really expensive bit is the bottled water at €2.50 although the rest of the meal feels like an investment and thoroughly enjoyed by each and every one of us. 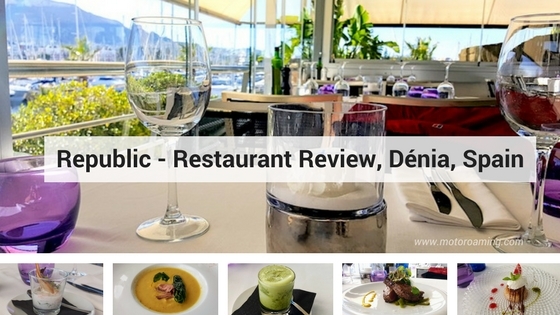 Surrounded by gorgeous staff, talented chefs and an ambiance that makes you feel special, the Republic is a restaurant that needs experiencing if fine dining is your cup of tea. A great way to celebrate with special people. 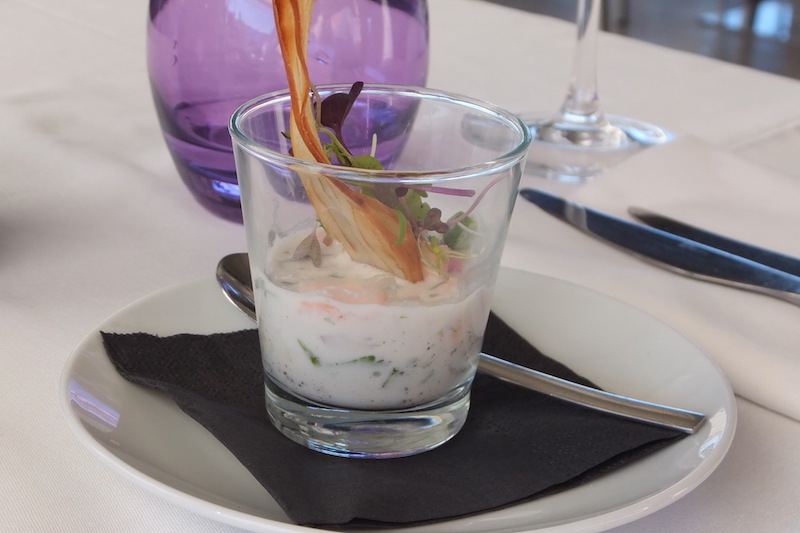 Why not give them a whirl – and put yourselves in the hands of gastronomic experts? We really enjoyed it there. Lovely food and great atmosphere.